This year, the stock market witnessed the choppiest year since the 2008 global financial crisis. The market declined for the first time after five consecutive years of rallying in parallel with the growth momentum of the economy. It achieved a record high gain of 47 percent in 2017. The benchmark VN-Index set an all-time peak of 1,211 points on April 10, but then suffered a sharp decline of 27 percent, to reach the bottom of 888 points on October 30 despite the fact that Vietnam’s GDP has posted its strongest growth rate in a decade. The unexpected fall was attributed to objective reasons such as accelerating trade tension between the US and China and the interest rate hike trend of central banks worldwide. The derivatives market reached a remarkable growth in scale just over a year after the start of official operation on August 10, 2017. The market’s trading value soared to a record of nearly 17 trillion VND per session in October compared to 2.5 trillion VND (107 million USD) per session at the end of 2017. The number of derivative trading accounts has increased 2.2 times compared to the end of 2017. This year witnessed many large-scale acquisitions. The State Capital Investment Corporation (SCIC) and military-run telecoms group Viettel offloaded their entire stakes, collectively at 79 percent, in the Vietnam Construction and Import-Export Joint Stock Corporation (Vinaconex), under the form of a public auction on November 22 on the Hanoi Stock Exchange, earning 9.36 trillion VND from the deal. Notable IPO deals include the 5.5 trillion VND deal of Binh Son Refinery and Petrochemical Company (BSR), the 4.1 trillion VND deal of the PetroVietnam Oil Corporation (PV Oil), the 7 trillion VND deal of PetroVietnam Power Corporation (PV Power) and the 922 million USD deal of Techcombank. On the afternoon of January 22, the Ho Chi Minh Stock Exchange (HOSE) experienced a technical crash, bringing to a halt all trading activities during the rest of the day and also the next two days on January 23 and 24. 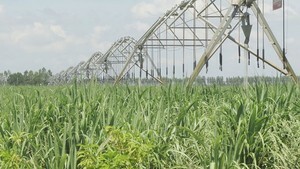 This raised the need to renew the market technology platform after 18 years of operation. 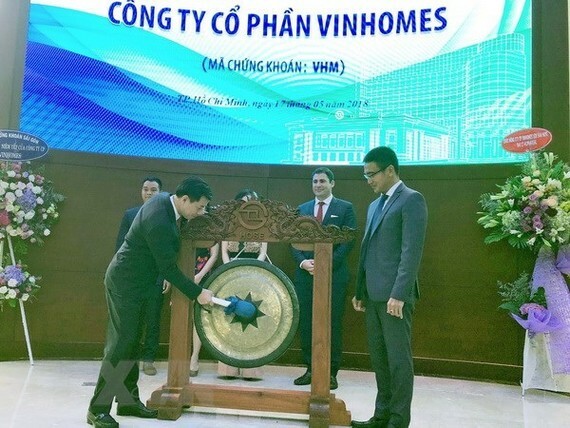 Four firms – Vietnam’s Housing Development Bank (HDB), Vietnam Technological and Commercial Joint Stock Bank (TCB), Tien Phong Commercial Joint Stock Bank (TPB) and Vinhomes Joint Stock Company (VHM), were added to the list of the top 30 listed companies with market capitalisation of at least 1 billion USD in 2018. The capitalisation of the whole market has risen to its highest level ever, reaching 3.98 quadrillion VND (170.93 billion USD), up 13.5 percent from 2017 and equivalent to 79.6 percent of GDP. The emergence of large-cap stocks has drawn the attention of foreign investors, with net buying value of 2.9 billion USD in 2018, approximately equal to 2017’s figure of 2.92 billion USD. In September, Vietnam’s Committee for State Capital Management (CMSC), known as the Super Committee, was officially launched, responsible to the Government for effectiveness in the use of State capital and assets in SOEs. It is supervised by the Government, the National Assembly and law-protecting agencies. The committee manages 19 State-owned economic groups and corporations with the total value of State equity reaching more than 1 quadrillion VND and total asset value of 2.3 quadrillion VND. Cases of stock price manipulation received administrative sanctions. Nine individuals were fined 550 million VND each, totalling 5.1 billion VND, accounting for more than 25 percent of the total financial penalties in the market in 2018. Regarding criminal cases, the Hanoi People’s Court in October opened the first-ever trial in the case of 15 people who were charged with stock trading document falsification, stock price manipulation and fraudulent asset transfers. The defendants were reported to have falsified trading documents of MTM shares on the Unlisted Public Company Market (UPCoM), manipulated MTM share prices and fraudulently transferred MTM stocks on the market. The draft revised law on securities was based on the inheritance of the current Securities Law, broadening the scope of regulations and adopting a new approach more suited to market conditions and overcoming the remaining limitations of the current law. It is supposed to be submitted to the Government in the second quarter of 2019 and submitted to the National Assembly for consideration and approval in the fourth quarter of 2019. In December this year, the Government issued Decree No 163/2018/ND-CP regulating the issuance of corporate bonds, replacing Decree No 90/2011/ND-CP dated December 14, 2011, to create a new legal framework for enterprises to raise capital through the issuance of bonds. The new decree, coming into force from February 1 next year, aims at creating favourable conditions for enterprises to raise capital through issuing bonds, developing the corporate bond market in the direction of publicity, transparency and protection of interests of private investors, step by step expand the size of the corporate bond market, reducing the burden of raising funds for bank credit.